Cultural Encounters in India : The Local Co-workers of the Tranquebar Mission, 18th to 19th Centuriesis an English translation of a German book which has won the Geisteswissenschaften International award for excellence in scholarship. It is now available for the first time to the English speaking world. The history of social and religious encounter in 18th century South India is narrated through fascinating biographies and day to day lives of Indian workers who worked in thefirst organised Protestant mission enterprise in India, the Tranquebar Mission (1706-1845). The Mission was originally initiated by the Danish King Friedrich IV, but sustained by religious authorities and mission organisations and supporters in Germany and Britain. The book challenges the notion that Christianity in colonial India was basically imposed from the outside. It also questions the approaches to mission history concentrating exclusively on European mission societies. 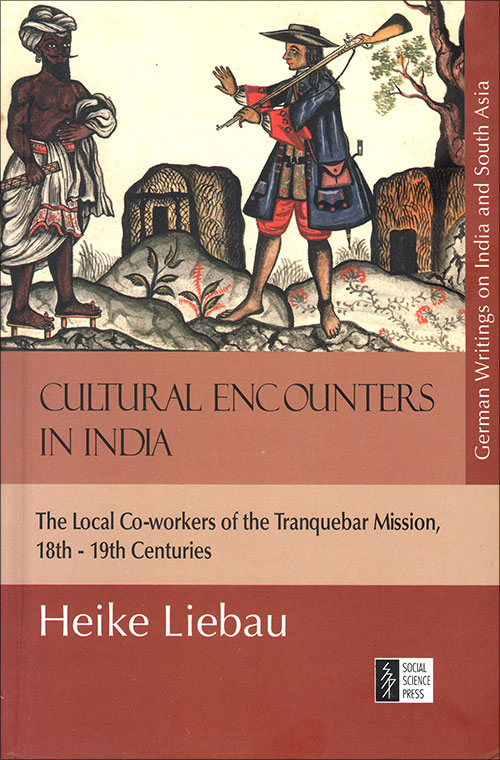 Liebau maintains that the social history of 18th century South India cannot be understood without considering the contributions of the local converts and mission co-workers who played an important role from the very beginning in the context of Tranquebar Mission. Heike Liebau is Senior Research Fellow at the Zentrum Moderner Orient (ZMO) in Berlin. Her research interest lies in the history of cultural encounters, biographical studies and questions of knowledge production. She is the co-editor of Halle and the Beginning of Protestant Christianity in India (with Y. Vincent Kumaradoss and Andreas Gross), Halle 2006; and of The World in World Wars: Experiences, Perceptions and Perspectives from Africa and Asia (with Katrin Bromber, Katharina Lange, Dyala Hamzah, Ravi Ahuja), Leiden, Boston 2010. ‘The world is flat’ – this popular account of current developments celebrates transnationally operating companies as great ‘equalisers’. Such tendencies of homogenisation come up against limits, however. 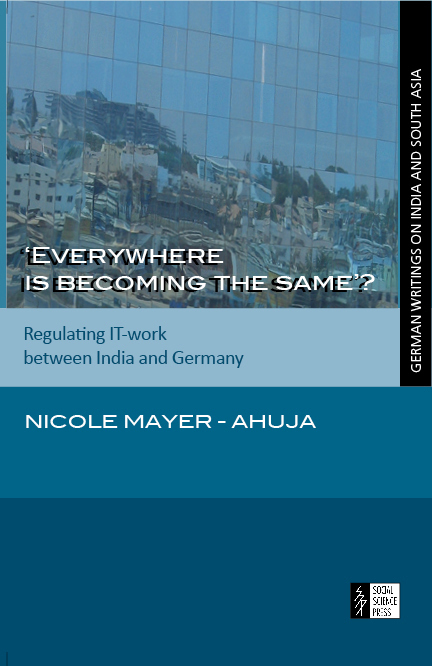 Focussing on Indo-German project work in software programming, this study analyses the complex interrelations between the business models of transnationally operating companies and localised standards of regulating reproduction. They result in marked differences between the ways in which labour power is utilised in the companies’ Indian and German subsidiaries. The world is not ‘flat’ – instead, transnational corporate activities draw upon the combined and uneven development of world regions and reinforce difference rather than reducing it. The age of catastrophe devoured lives from many parts of the globe. Yet the ‘Great War’ also occasioned new encounters and experiences. Never before had ten thousands of non-elite South Asians moved across Europe. 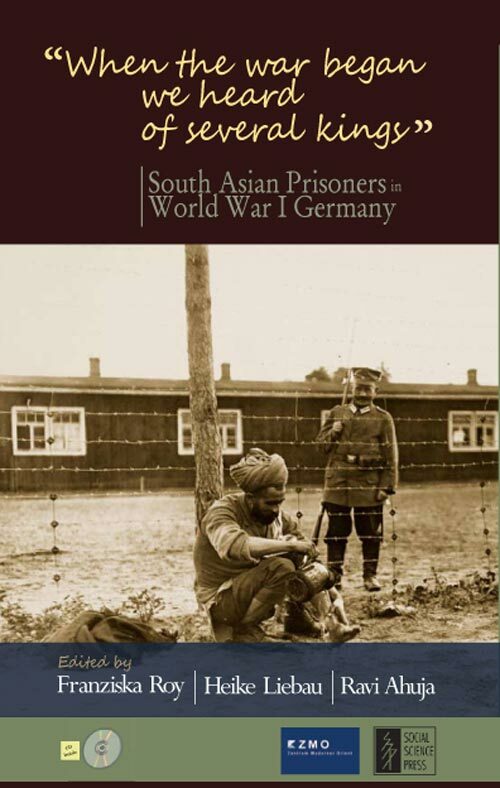 About two thousand of them, mostly sailors and soldiers who hailed from villages in Bengal, Nepal, the Northwest Frontier and Punjab, were held for years in German prison camps. They attracted the close attention of army officers, diplomats and secret agents, of emigrant revolutionaries like Har Dayal and Virendranath Chattopadhyaya, of German artists, academics and industrialists. The captives made sense of these unusual encounters in their own ways. This volume approaches their difficult engagements from various angles. It introduces and makes available rich German archives as yet unknown to the non-German speaking world. The CD Rom attached to this book goes beyond the written word. 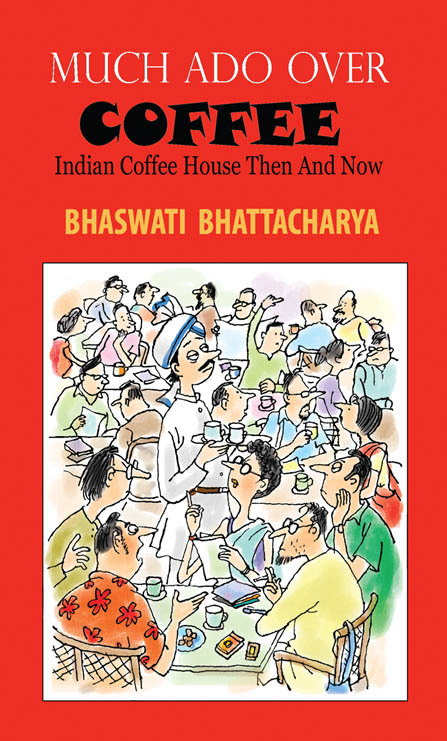 It includes the Hindi and Urdu editions of the propagandistic camp journal Hindostan, transcripts of sound recordings in which the sailors and soldiers speak in their native tongues about their experiences as they are taken from place to place, perhaps in the hope that these might reach their families. There is nostalgia in their voices as they sing songs about their homes, while acutely critical comments on their lives in ‘vilayat’ give the lie to the notion of the apolitical peasant-soldier. The CD Rom also includes pictorial documents of paintings by the soldiers, and some powerful photographs of war camps in Zossen and Wünsdorf. The CD Rom also carries the Bibliography which is a special feature of this book. It is both extensive and rich, covering rare books which will be of enormous value to scholars and interested readers.